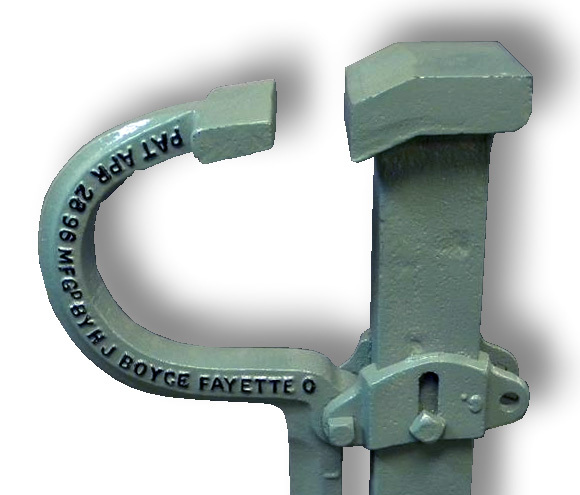 This beautiffully restored J H Boyce farriers vise was made in Fayette, Ohio USA. 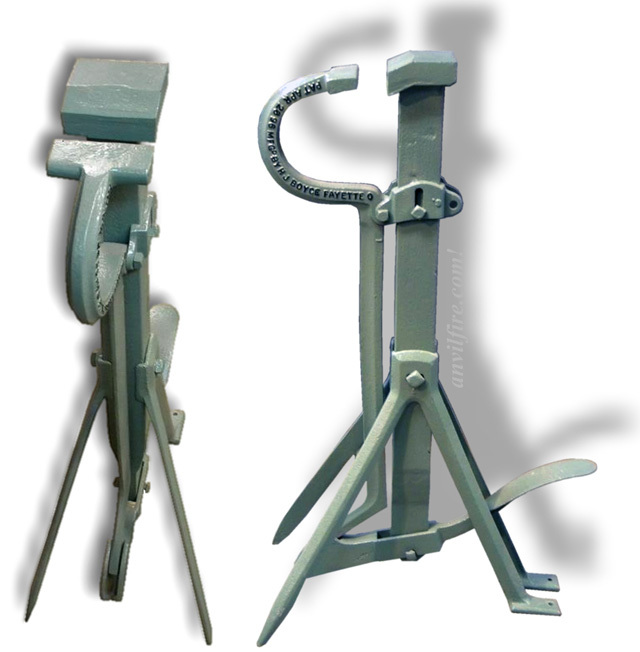 This well made vise can be assembled so that the jaw closes on either the sloping side or the level side. The feet on one side appear to be designed to be screwed to a small board for load distribution on soft ground and the opposite legs to dig in to help prevent movement.